I have perrinial hibiscus I planted this spring. Can I leave them out this winter and should I wrap them with burlap, or do I have to bring them in for the winter? I have 8 of them and also live in Michigan north of Grand Rapids. Should I cut them down if left outside for the winter? If it is a hardy hibiscus, then it can stay outside to Zone 5. If it is a tropical hibiscus, it must be brought in for the winter. The tropical varieties must be grown in containers and overwintered indoors.These plants will not tolerate more than a night or two of light freezes. Even one hard freeze (below 25) could kill the plant. 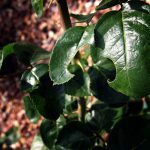 The hardy varieties don't need any special treatment, though wrapping or mulching of the plant in colder zones is fine. If you are unsure of what you have, I would grow it in a container indoors just to be safe.